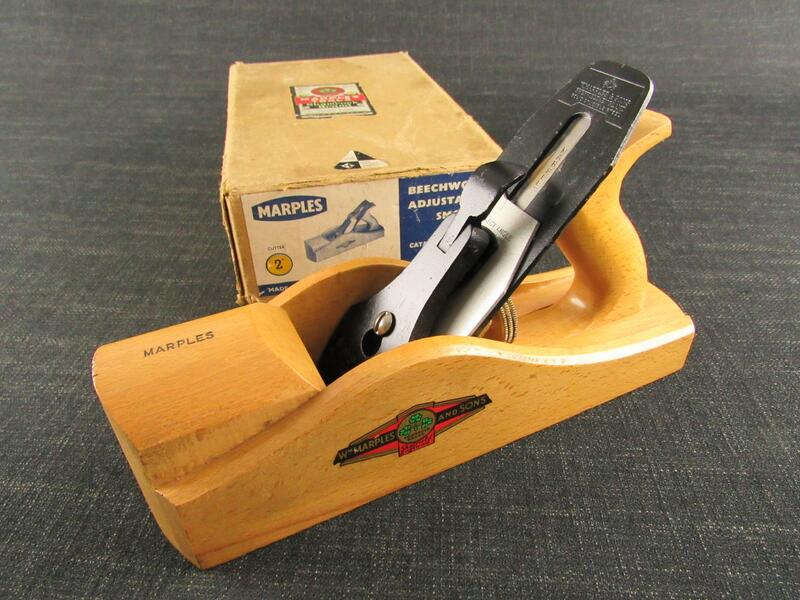 A tidy and complete STANLEY No.50 combination plane. This plane has its full set of 17 cutters (9 plough, 7 beading + 1 tonguing) in their original wooden box (replaced label), some surface pitting and staining spots. Complete with all parts including the shaving deflector, cutter fastening screw, bottom adjusting screw, depth stops and spurs. In its original card box with the STANLEY user guide leaflet.